Taal Lake and Volcano, 1934. Image source: University of Wisconsin at Milwaukee. The picture above was taken in 1934 by Robert L. Pendleton. It has been downloaded from the University of Wisconsin at Milwaukee Digital Library, where it is made available for educational and non-commercial use. 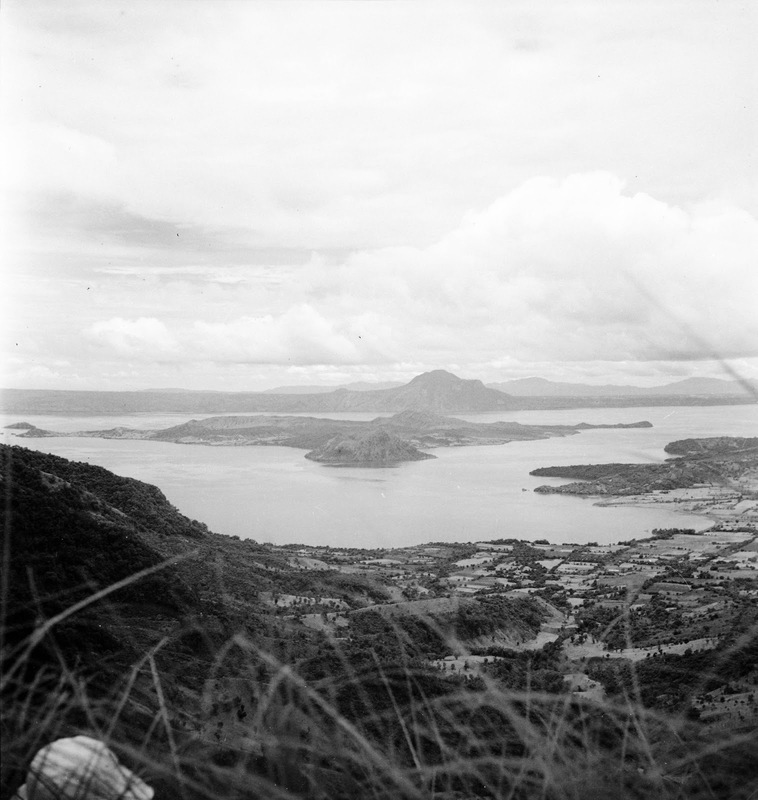 Its original title/caption was “Batangas province (Philippines), view of Taal Lake and Volcano Island.” In the photographer's note, it was stated that the picture was taken from the vantage point of the Talisay-Tagaytay trail. The picture has been processed using graphics editing software to improve quality. Rights to it are owned by the Board of Regents of the University of Wisconsin System. The original may be viewed here. 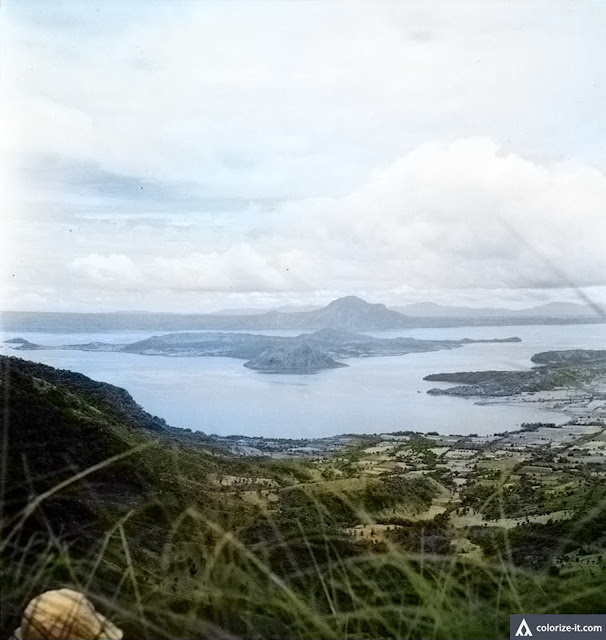 A colorized version of the top photo courtesy of Algorithmia.